For many patients, having total knee, hip, or shoulder replacement surgery is the best way to get rid of chronic or unbearable joint pain. Over time, osteoarthritis can severely restrict your movement and put a damper on your quality of life. When arthritis gets to this point and conservative treatments don’t help anymore, it’s time to talk to your orthopaedic doctor about joint replacement surgery. Our board-certified orthopaedic surgeons will be happy to discuss your options and ease your concerns about joint replacement surgery. We specialize in total knee replacement, hip replacement, and shoulder replacement surgeries. Additionally, you can view a video of a total knee replacement performed by Dr. Sharpe and narrated by Dr. Gaddy. The knee is the largest hinge-type joint in the body. Knee problems are common and can occur from injury, wear and tear, or diseases such as arthritis or osteoporosis. For many, knee replacement is the only way to relieve pain, restore function, and improve quality of life. Watch Dr. Sharpe perform a total knee replacement at Shawnee Mission Medical Center. Your hip is a ball-and-socket joint, which allows bending and straightening of your body and movement of your lower limbs. The hip is one of the most commonly replaced joints. 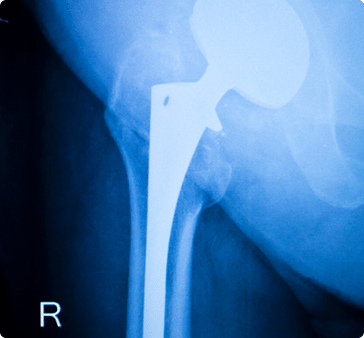 While osteoarthritis is the main reason for hip replacement surgery, a hip fracture from a fall may also require a hip replacement. Your shoulder is a ball-and-socket joint, and it has the greatest range of motion of all the joints in your body. Injury, arthritis, and overuse can cause the cartilage in the shoulder joint to degenerate, causing pain and limiting your mobility and range of motion.